Indoor air pollution is more of a problem than ever. 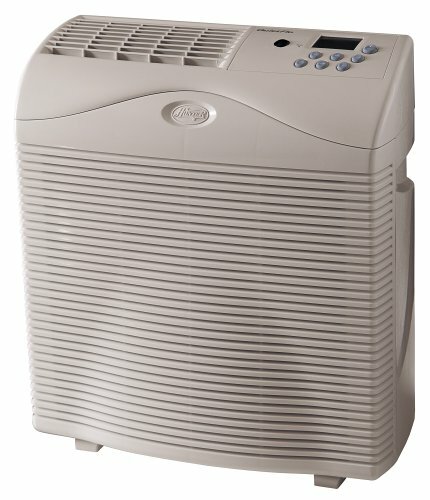 Fortunately, Hunter air purifiers capture a wide variety of airborne particles and irritating allergens--including smoke, pollen, dust mite detritus, mold spores and pet dander. If you suffer from allergies, asthma or other respiratory problems, a Hunter air purifier can help you breathe easier today! All Hunter air purifiers feature popular slimline styling, which allows a unit to be placed flush against a wall or in the corner. And all feature famous Hunter performance and quality at an affordable price: Features: 99.97% Effective True HEPA Filter Performance. CADR Certified Rating For Rooms Up To 18' x 18' 213/Smoke, 215/Dust, 200/Pollen. Remote Control for Ultimate Convenience. Manual Operation (or). Easy-To-Use Programmable Weekday/Weekend Controls. Separate Carbon Pre-Filter For 30% Better Odor Reduction. Digital Filter Change Reminder. Whisper-Quiet, 3-Speed Hunter Fan. 5 Year Limited Warranty. 1 Year Suggested HEPA Filter Life.